Scaffolding design and installation for work carried out at the Thetford Academy. The Academy is in the process of building a new Sportshall & Changing Rooms, a new Main Block and a new Kitchen & Dining facility. 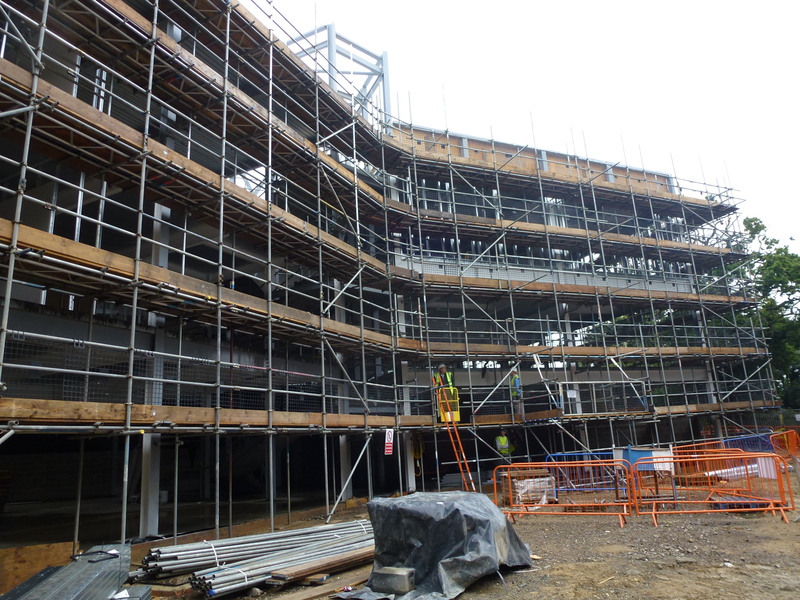 Construction work at the Academy during 2012 and 2013 has required extensive amounts of Scaffolding. This was a large and complex project. Narford Scaffolding provided detailed design and calculation work to ensure compliance with TG20:80 guidelines.